Teaching methods at the SPM include lectures, case studies, seminars, group discussions, business games, role plays, simulation exercises, structured and unstructured group work as may be needed by a specific topic. 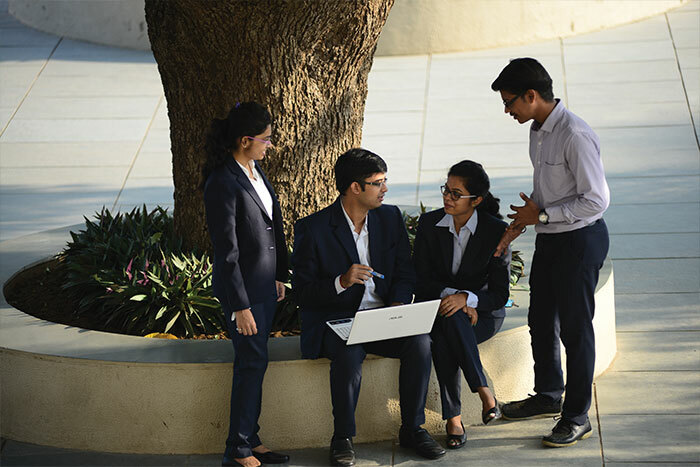 The emphasis is on involving the students in learning and helping them to relate concepts and theories to business requirements of different industries. As an added advantage, the learning provided at SPM is not only restricted to the classroom but also through field visits, summer internship, independent study courses and constant interaction with industry personnel. The teaching and learning process at SPM mainly focuses on case study method which includes a dynamic process of exchanging perspectives, countering and defending points and building ideas that improve students’ understanding and exposure to decision-making process in a complex business environment. Working with talented and accomplished peers provides a unique opportunity for accelerated professional and personal growth. Group projects, a major component of most courses, help students to not only learn the intended concepts and skills, but also to develop and refine skills to work in diverse groups. The groups are formed from pools of varied disciplines, backgrounds, corporate experience and career orientations to leverage the enormous diversity in perspectives. The projects are designed in such a manner that the entire class benefits with coverage of multifarious aspects of different industries with minimum overlap and duplication. Summer Internship is a major component of the learning process at SPM. At the end of third trimester, all students are required to undertake summer internship of eight weeks with energy sector companies, financial institutions, IT and infrastructure majors, management consultancies, telecommunications, market research organizations and others. On successful completion of the training, every student is required to make a presentation and submit a written report for evaluation. The formal assessment and feedback of the industry guides are also taken into consideration for overall evaluation of summer projects. A self motivated student can also take up a course on independent study under the guidance of a faculty and learn a specific topic of interest in the field of energy and infrastructure, functional management areas and allied subjects. SPM offers a dynamic campus with outstanding study and research facilities. It also boasts students extraordinary opportunities for professional growth through participation in various cultural and academic clubs that organize field trips, academic seminars, cultural programs, debates, discussions and various community services. Domain specific workshops are also organized periodically to strengthen the teaching-learning process.